One of Wall Street's brightest new stars discusses how to navigate today's markets, for both the short and long term Investors today are looking for a solid, trusted voice to help them make sense of turbulent markets. Jason Trennert has become that voice. 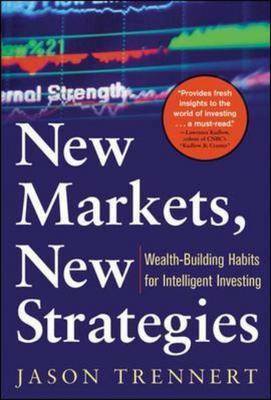 In "New Markets, New Strategies", Trennert outlines an insightful, practical, and forward-thinking approach to investing. Providing investors with techniques based more on long-term performance than short-term hysteria, he explores topics including major themes that will move markets in the coming decade and the hidden but all-too-real dangers of passive management and index funds.